Many people feel that they would not be able to Meditate, because their perception is it would be too difficult and it would need to be practiced for long periods of time in total peace & quiet whilst chanting. Although this can be a form of meditation; it is not the only one. 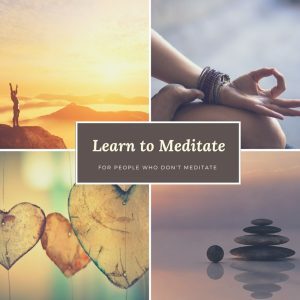 Within the course you will be shown different Meditation techniques, so you can find the best way for you and what you are able to do at this moment in your life. Each week of the course, whichis progressive we guide you into lead meditations, slowing increasing the silence. We have found that people are generally suprised how long they have been still for. Meditation within a group format is so much easier when you are starting out because you are able to develop with others and it gets you into a route and allows you to experience different ways so quiet your mind, which has a positive ‘knock-on’ effect in many aspects of your day to day life. Our participants have reported experiencing deep sleep, clarity of mind, and the ability to cope with life’s up’s and down’s. Studies of the benefits of Meditation have been greatly researched and the lists of both physical and physiological benefits are endless, but include things such as improved sleep, better relationships, increased life expectancy, normalisation of blood pressure, decrees in heart conditions, aids depression, anxiety attacks and stress responses. This course runs over 4 weeks, each session lasting 90 minutes guiding you through different techniques to quieten your mind & enrich you with the lifelong knowledge to a brighter more peaceful present. The course is run by Lisa Barnes & Mirella Lamarina; both have been taught by renowned spiritual author William Bloom. Lisa’s experience comes from working in the field of ‘Overwhelm’ seeing the need to take her clients off the ‘flight & fight’ response & Mirella an experienced Yoga teacher, specialising in Power Yoga, breathe & meditation. Week 1 – Introduction, Self-Understanding, Awareness Exercises, Grounding Meditation. Week 2 – Gateways to Meditation, Yoga Poses, Grounding, Affirmations for positivity. Week 3 – Breathing Techniques, Lead Chakra Meditation, Yoga Poses, Quite time. 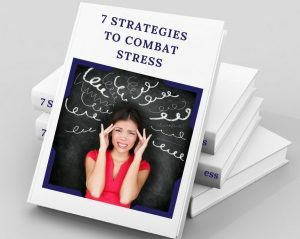 Week 4 – Alkaline your Body & Mind, stress releasing tips, eatng tips to help calm your body & mind.